Every summer, the stars of the equine world head to Hartpury Horse Trials. Hartpury Agricultural College, in the Gloucestershire countryside, is the location for this popular event: a five-day equine spectacle that attracts some of the biggest names in international eventing. Read on to find out more about watching the action or competing at the Hartpury Horse Trials. Firstly, where is the Hartpury Horse Trials held? The Hartpury Horse Trials is held at Hartpury College and University Centre campus in Gloucestershire. Over 1,500 students take courses from dog grooming to health and safety. Hartpury is also the world’s largest equine educational establishment. For example, here you can study for everything from a BSc in Equestrian Sports Coaching to a diploma in Horse Management. 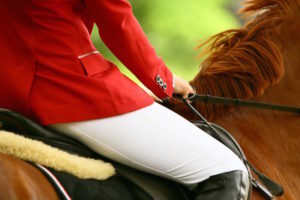 Each year the Hartpury estate hosts the Hartpury Horse Trials. The dressage and show jumping stages take place in the International Arena. The cross-country phase of the event runs across part of the 360-hectare the beautiful Hartpury estate. When was the first Hartpury International Horse Trials held? The first Hartpury Horse Trials was held in 2003. 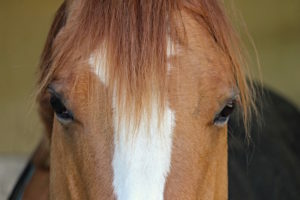 Since then, it has fast established a reputation as one of the key events in the equestrian calendar. For many of the years it has been run, the challenging cross-country course has been designed by Eric Winter. This well-known course designer is also the man responsible for the courses that put horse and rider to the test at Blenheim Palace International Horse Trials and Badminton Horse Trials. The cross-courses at Hartpury Horse Trials are known for being big and bold. They also make the most of the terrain. In recent years, an irrigation system has been installed by Hartpury. This means that the cross-country courses can be watered as necessary. As a result, the footing is perfect. The show jumping and dressage takes place in the Hartpury international Arena, which has plenty of tiered, stadium style seating. You can also follow the cross-country courses and get up close to the action and the world-class horses and riders. Although the cross-courses change each year, there are spots where you can sit and watch large portions of the action. There is also transport available to help you get to key strategic points around the estate if you prefer not to walk. What else is there to see and do at the Hartpury Horse Trials? As well as watching all the action in the arena and out on the course, visitors to Hartpury Horse Trials can shop. This big event in the equine calendar attracts plenty of trade stalls, selling items to meet all your horse, pet, and country needs. From horse insurance to pampering treats for your pooch, you can shop until you drop as well as enjoy plenty of delicious refreshments at the food and drink stalls. The well-known Hartpury Summer Fair also takes place on the same weekend, with lots to keep all ages entertained. From inflatable games to a family dog show, it’s a traditional country show. Who competes at Hartpury International Horse Trails? Hartpury is a high profile event and attracts the top riders in the UK and the world. Previous competitors have included Olympic legends including Sir Mark Todd, Pippa Funnel, Zara Philips, and Mary King. The trials act as a qualifier for the Olympics, World Championships and European Championships. It’s also part of the Tri-Star Grand Slam series, where any rider that can win three of the CIC three-star events will get an extra ‘winner takes all’ prize of £50,000. The CIC course has been designed to prepare horses for Blenheim or Burghley. There are three classes: CCI*, CCI**, and CCI***. And many up and coming riders also compete at the Hartpury Horse Trials. Could I compete at Hartpury Horse Trials? The CCI one-star is an international event run under FEI rules, and the lowest level of international three-day event. It’s a step up from a novice national event in terms of the length of the course, the length of the dressage arena, and the level of difficulty of the cross-country element. It’s best suited to riders with aspirations to compete at international level and who are already successful competing at British Eventing (BE) novice. The CCI two-star category is suited to anyone competing successfully at BE intermediate level. The dressage test is similar, but also includes walk pirouettes. Showjumping is up to 1.2m with cross-country jumps up to 1.15m. 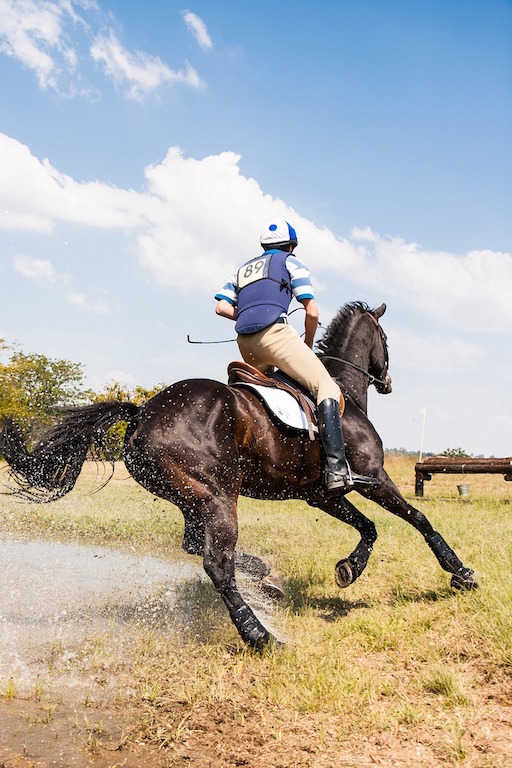 The CCI three-star category is best suited to riders at BE advanced level. Jumps on the showjumping course have a maximum height of 1.25m while the cross-country jumps reach 1.2m. The dressage test has a similar technical level to BE advanced competitions. If you’re planning on bringing your horse to Hartpury Horse trials, make sure you understand the rules about towing a horsebox. How much does it cost to watch the Hartpury Horse Trials? Car parking and entry from Wednesday to Friday are free. Under 16s get in free every day. Well behaved dogs on leads are welcome. Hartpury is located on the A417, just four miles north of Gloucester. It is easily accessible from the M5, M50 and M4. The postcode is GL19 3BE. Finally, what other big equine events happen at Hartpury? For five days every year, the Hartpury international arena welcomes the superstars of dressage. Past participants have included Olympic gold-medalists Charlotte Dujardin with Valegro and Hartpury’s elite dressage coach and fellow Olympic champion Carl Hester. 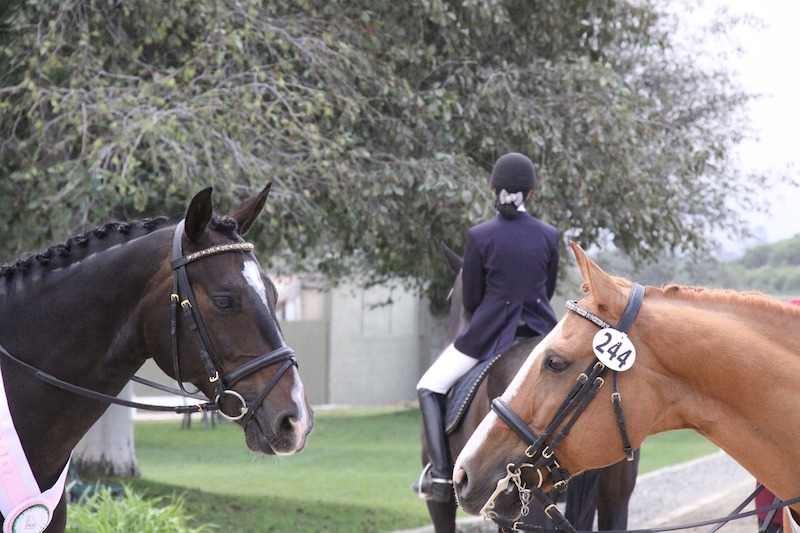 The festival incorporates premier League, CDI3*, and CPEDI3* competitions. As well as watching the horses and riders dancing, the event offers plenty fo opportunities to do a bit of shopping, and eat and drink. The big names in the world of showjumping come to Hartpury for the Showjumping Spectacular. Jumps are up to 1.5m, ensuring a thrilling competition spread across three days. The event concludes with two Blue Chip Championship Qualifiers, so expect to see household names in the arena. When you own a horse or pony, there’s a lot to learn, including the rules around towing a horsebox. Whether you’re heading to competitions or the vet, there are strict rules around towing that you’ll need to follow. If you don’t you could put your horses and other road users at risk. And it could leave you facing a big hit on your finances. So, to make getting it right easier, we’ve put together this quick guide on towing a horsebox. What are the rules about towing a horsebox? Firstly, the most important thing to discover is if your vehicle can legally tow your trailer. The waters governing the legalities around towing horseboxes can seem considerably muddy. There is no one-size-fits-all rule. Instead the vehicle/trailer combination that you have will dictate whether you need a special licence to legally tow it. And the date that you passed your driving test will also affect what licence you’ll need. The rules are there to keep your horses, as well as other road users, safe. It means that you’ll need to ensure that the vehicle you use to tow your horsebox has enough power to do the job. You can find out whether your vehicle is capable of towing safely by checking the MAM. MAM stands for Maximum Authorised Mass. This is the maximum weight that your vehicle can weigh when it is loaded (including the towing weight) when you have a standard car driving licence. What are the driving licence categories for towing a horsebox? The actual weight of the trailer may not exceed the unladen weight of the drawing vehicle – so your trailer cannot be heavier than the vehicle towing it. Or, a Category C1 licence – For vehicles that have a MAM of over 3,500kg but less than 7,500kg. You have entitlement to drive C1+E with a ‘107’ restriction. This limits the actual weight of the combination of both towing vehicle and trailer to 8.25 tonnes (or 8250kg). This weight limit is normally ample for towing any horsebox. But you’ll still need to check that your vehicle is powerful enough to safely tow your horsebox. If you’re unsure as to whether your licence allows you to pull a horsebox then check with the DVLA. How do I find my vehicle’s MAM? Your vehicle’s MAM may be listed on your vehicle’s VIN (vehicle identification number) plate, which is normally under the bonnet or inside the driver’s door. Alternatively, you may find this information in you’re vehicle’s handbook, or get in touch with the manufacturer. How do I get a Category B+E licence? 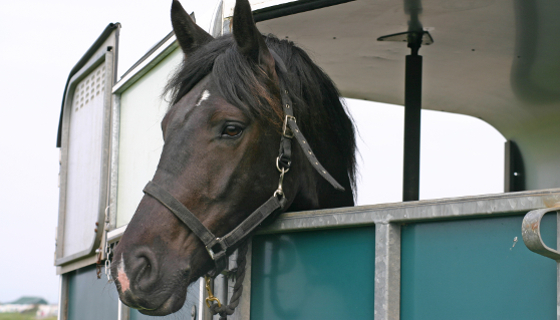 In most cases, horseboxes exceed the standard MAM limits, so you’ll need to pass your car and trailer driving test. This test is also sometimes known as the B+E test. To take it, you’ll need a full car driving licence but you won’t have to take your theory test again. For heavy combinations of vehicle and trailers, or large motorised horseboxes, you’ll need to take your C1+E driving test. This allows you to drive vehicles and trailers with a combined weight up to 12,000kg MAM. Is your car big enough to tow? Even if you think you meet the legal requirements, stop and think if your car is suitable for towing a horsebox. Remember, if you’re planning to take your horse to compete, you may need to drive in muddy fields. If your car is too small or doesn’t have enough power it could be dangerous. What happens if I don’t have the right type of licence? Failure to have the right licence and the right car or horsebox insurance can result in hefty fines, points on your licence and, in some cases, jail terms. Do I need horsebox insurance? Although you don’t legally have to take out independent insurance for a towed horsebox, it is wise. Horsebox insurance for towed horseboxes can cover everything from the theft or damage of your horsebox, to additional cover for the contents such as your tack, saddles and personal possessions. Remember, if you drive a motorised horsebox, then vehicle insurance is a legal must-have. Do I need specialist horsebox breakdown cover? Standard car breakdown cover can be used if your car breaks down when you’re towing your horsebox. But, this is only helpful if your car can be fixed at the side of the road. If it can’t, your car breakdown company won’t have the capacity to tow your car, trailer and horses to safety. Specialist horsebox breakdown cover gives you peace of mind you can get safe onward travel for your horses as well as secure overnight stabling if needed. In many cases, it is cost effective to include this with your horsebox insurance package. If you compete your horse overseas, make sure that you’re covered to tow or drive your horsebox abroad. 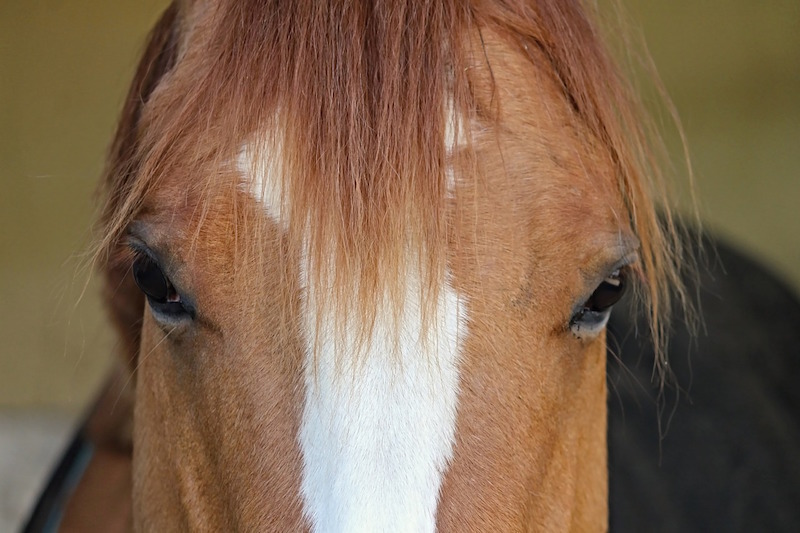 What does our horsebox insurance cover? At Easy2Insure, we make it easy to get the right level of insurance cover for your horsebox at the best price. Our horsebox insurance provides cover whilst your horsebox or trailer is at home, on the road or at a competition. 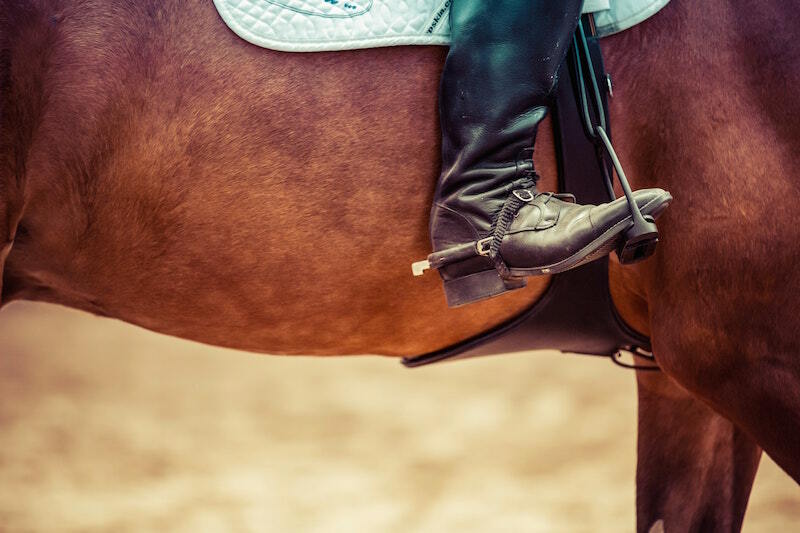 And you can opt for additional extras to include cover for tack and equipment, as well as getting you home again should your box be stolen or damaged whilst at a show. Why should I choose Easy2Insure as my broker? As an independent insurance broker, Easy2Insure, has access to a wide variety of different horsebox insurance policies to meet every need. We provide insurance for all types of horseboxes, including motorised horseboxes and trailers. Part of the highly respected Park Insurance Group, we have over 20 years’ experience in sourcing specialist insurance deals for our customers. And because we’re based online, our overheads are lower, so we can pass the savings directly onto you. Our position as preferred broker to many of the UK’s largest insurance providers also means that we can source deals and packages that are uniquely tailored to suit your specific requirements. Horseboxes, even second-hand loose boxes, can cost thousands of pounds to replace if they’re stolen or damaged. Add to that the cost of covering your tack and equipment, and the small premiums you’ll pay for your horsebox insurance every month are a worthwhile expenditure. Especially when compared to the amount you’d need to pay out to replace uninsured boxes or tack and the stress and worry that not being insured could cause. Call our friendly team for free on 0800 917 9522 or get in touch. Let us find you the best horsebox insurance quote that is right for you, your horse and your budget.